There is a bad news for the fans of The Flash series of the CW Network. It’s that season 5 episode 15 of the superhero show will release after a hiatus of two weeks. The next segment will air on March 5, 2019, Tuesday. 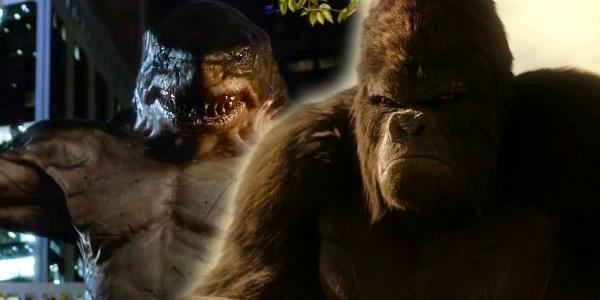 After two-weeks, when the show will return, the fans will get to watch a big match-up between Gorilla Grodd and King Shark. As per the visuals seen in the promo for the next episode of The Flash, Gorilla Grodd attacks Central City, the team Flash teams-up with an unexpected ally to defeat – King Shark. To find more about Shay Lamden, the man behind the shark, they bring in Dr Tanya Lamden. We can hear Iris asking aloud ‘King Shark vs Gorilla Grodd’ in the trailer. She sees the news on her phone in the clip. Detective Joe West will return in the next episode. It’s a welcome one for the team Flash. In the midseason finale, we got to know that Nora was really working with Eobard Thawne aka Reverse-Flash in the future. But, Barry and the team don’t know yet. When they will get to know about it, Joe would be there to give some fatherly advice to Barry Allen. And Nora is his granddaughter, so he will be as shocked as everyone else. The Flash s5e15 is going to be about fins vs fangs. It will be interesting to see who win the match on March 5 on the CW at 8 pm ET. It’s going to be one heck of a showdown.